George Papadopoulos, an early Trump campaign adviser, was told Moscow had potentially damning information on Hillary Clinton in April 2016. The revelation, from an FBI document, alters the timeline of Russia’s election interference. Papadopoulos pleaded guilty to making false statements to investigators. George Papadopoulos, an early foreign policy adviser and aide to President Donald Trump’s campaign team, was told Moscow had dirt on Hillary Clinton in April 2016, newly unsealed court documents show. The court document, filed by special counsel Robert Mueller’s office in early October, alleges that Papadopoulos lied to the FBI about the nature and extent of his contacts with foreign nationals who he knew had ties to senior Russian government officials. 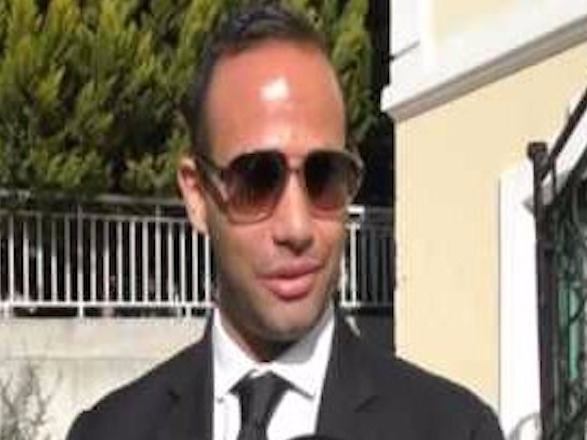 On October 5, Papadopoulos pleaded guilty to making false statements to federal agents. He now appears to be a cooperating witness in Mueller’s investigation of potential collusion between the Trump campaign and Russia. But the revelation that a foreign national tied to Russia offered the campaign dirt on Clinton in the form of emails in April 2016 seems to move up the known timeline of Moscow’s election interference. “On or about April 26, 2016, defendant Papadopoulos met the professor for breakfast at a London hotel,” says the special counsel’s court filing. The revelation sheds new light on claims made by both the campaign and WikiLeaks, which published the stolen DNC emails on July 22, in the weeks and months leading up to the election. According to the special counsel’s office, Papadopoulos kept trying to organise a meeting between the campaign and Russian government officials even after learning from the professor that Russia was trying to compromise Clinton. He thanked the professor for his “critical help,” according to the filing, saying that it would be “history making” if a meeting took place. Papadopoulos emailed top Trump advisers several times after learning of the emails, but he never said exactly — not in emails, anyway — what the Russian officials wanted to discuss with the campaign. In an April email to then-campaign manager Corey Lewandowski, Papadopoulos said he had gotten “a lot of calls over the past month” about how “Putin wants to host the Trump team when the time is right,” according to The Washington Post. It is unclear whether Papadopoulos had told anyone in the campaign, at this point, about the Russian “dirt” on Hillary Clinton. On June 1, 2016, Papadopoulos again emailed an unidentified “high-ranking campaign official” and asked about Russia, according to the special counsel’s office. “I have the Russian MFA asking me if Mr. Trump is interested in visiting Russia at some point. Wanted to pass this info along to you for you to decide what’s best to do with it and what message I should sent (or to ignore),” he wrote. Six days later, Trump Jr., Paul Manafort, and Trump’s son-in-law and top campaign adviser Jared Kushner met with Russian lawyer Natalia Veselnitskaya — identified as a “Russian government attorney” in Goldstone’s emails — on the promise of dirt on Hillary Clinton. That month, the CEO of the data firm that would soon be hired by Trump’s campaign, Cambridge Analytica, reached out to WikiLeaks founder Julian Assange offering to help release the 33,000 emails Clinton said she deleted from her private email server. It is unclear why the CEO, Alexander Nix, thought that Assange had those emails at the time — there is still no evidence that anyone had obtained them, and WikiLeaks did not publish the first batch of stolen DNC emails until late July. The trip to Moscow that Papadopoulos was planning, meanwhile, never took place. But Russian sources cited in a dossier compiled by former British spy Christopher Steele say that by late July 2016, there was “a well-developed conspiracy of co-operation between [the campaign] and the Russian leadership,” both of which had an interest in defeating Clinton. On July 7, Manafort offered to exchange briefings about the campaign for debt repayment and/or cancellation from his contacts in Ukraine and Russia, according to emails reviewed by The Washington Post. Manafort had been a top adviser to Ukraine’s pro-Russia Party of Regions from 2004 to 2014. Julian Assange has insisted that Russia was not the source of the DNC emails it published on July 22, between the end of the Republican National Convention and the beginning of the Democratic National Convention. The Steele dossier also said that the campaign agreed to sideline the issue of Russia’s invasion of Crimea and interference in eastern Ukraine in exchange for WikiLeaks releasing the stolen emails. The Trump campaign’s national-security policy representative for the Republican National Convention acknowledged in an interview with Business Insider in September that he gave his campaign colleagues the chance to “intervene” when an amendment to the GOP’s draft policy on Ukraine was introduced in Cleveland last July. The original amendment, which proposed that the GOP commit to sending “lethal weapons” to the Ukrainian army to fend off Russian aggression, was ultimately altered to say “provide appropriate assistance” before it was included in the party’s official platform. 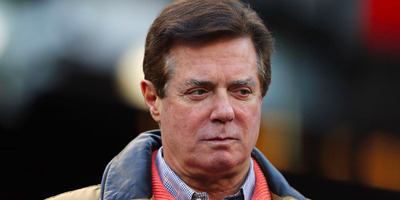 The trip never took place, and Manafort was forced to step down as campaign chairman four days later amid revelations about his lobbying work for pro-Russia entities in Ukraine.